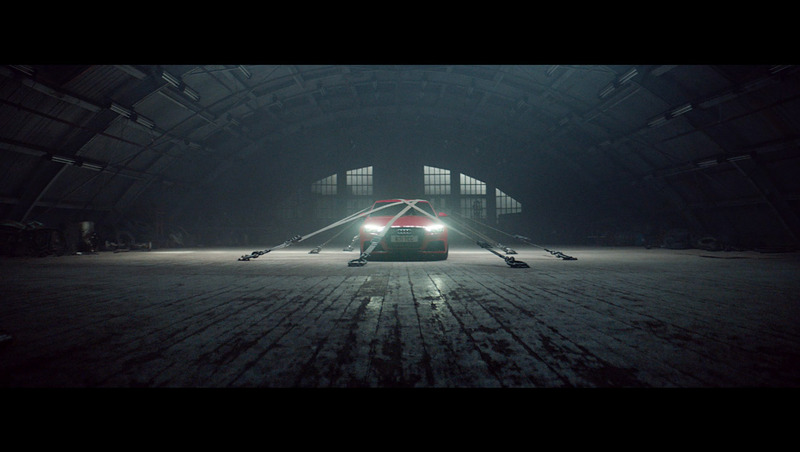 BBH collaborated with Pulse director Sam Pilling on this intense 30" spot, which advertises the Audi RS3 Sportback. It encapsulates the restless nature of the car, showing the RS 3 literally bursting free of its restraints in hunt of adventure. The ad stops short of revealing what the car does next and instead encourages viewers to ‘see it unleashed’ by searching ‘RS3’. Mill colourist James Bamford worked with Sam to add to the gritty feel, he comments, "I kept the film moody and cinematic while maintaining the integrity of the shadows, we also added some grain to help with the filmic gritty feel. We wanted the hanger to feel restricting and intense, whereas the outside shots should feel more hopeful and inspiring, reflecting the car's wish to be free."